Koh Tao is packed with sites for all level of diver and snorkeler. 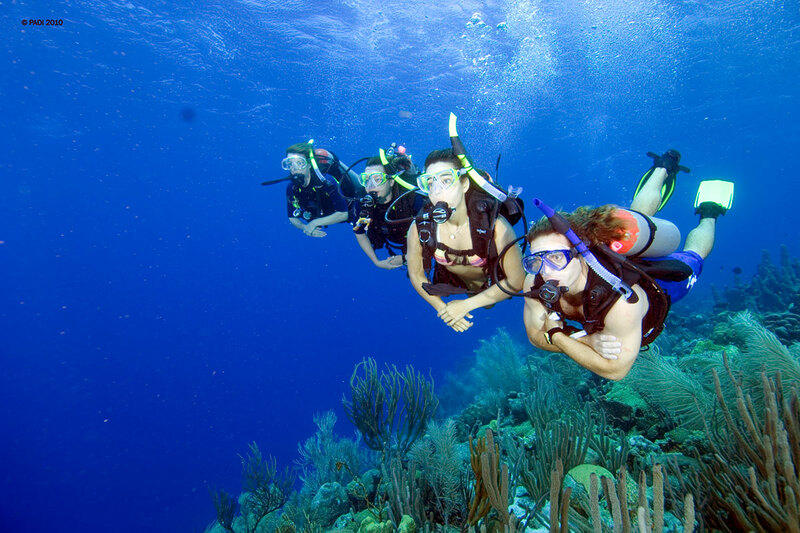 We choose the sites on each trip to suit the best mix of water conditions and dive level experience. From shallow beach sites with huge corals, to wreck dives, submerged pinnacle dives, there is so much to chose from. Koh Tao offers a wide diversity of dive sites and marine life alike. Throughout the journey you can chill out and relax while taking in the picturesque coastline and stunning bays of Koh Phangan. One of our favourites is Shark Island – one of Koh Tao’s premier dive sites with depths ranging from 0 to 28 metres. You may even spot the resident turtle or bump noses with visiting reef or leopard sharks. Shark Island provides diving experiences for all levels of divers, from the novice to more experienced, as well as offering fantastic snorkeling. From shallow inlets where training and skills can be conducted, to various depths for fun diving or, the more extreme thrill of drift diving with sometimes stronger currents. Other sites around Koh Tao offer a more relaxed diving experience with shallower depths and fringing reefs, while still maintaining the diversity of marine life. On the sandy bottom in the bays, looking closely one might be lucky and observe the beautiful seahorse or starfish. Or we can arrange pinnacle dives or a wrech dive to HMS Sattakut for Advanced divers. Koh Tao – Snorkeling, Introduction Diving (Discover Scuba Diving), Courses and Fun Diving, to the thrill and excitement of pinnacle diving or extreme adrenaline of wreck diving!